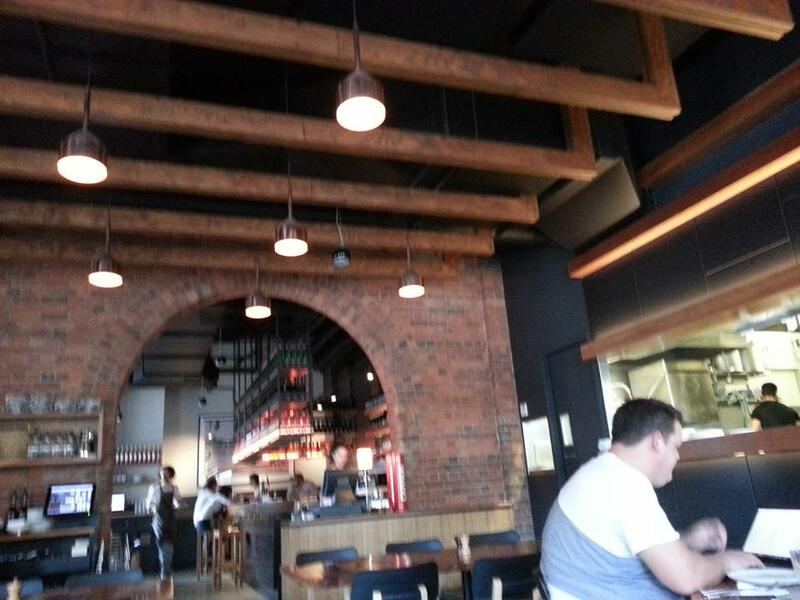 After a draining few hours looking through microfilms at the State Library, we wandered across from the museum to the corner of Fish Lane (one of my favourite streets in Brisbane) and had an impromptu lunch at Julius, a bona fide Italian restaurant housed in a bare-brick style building. 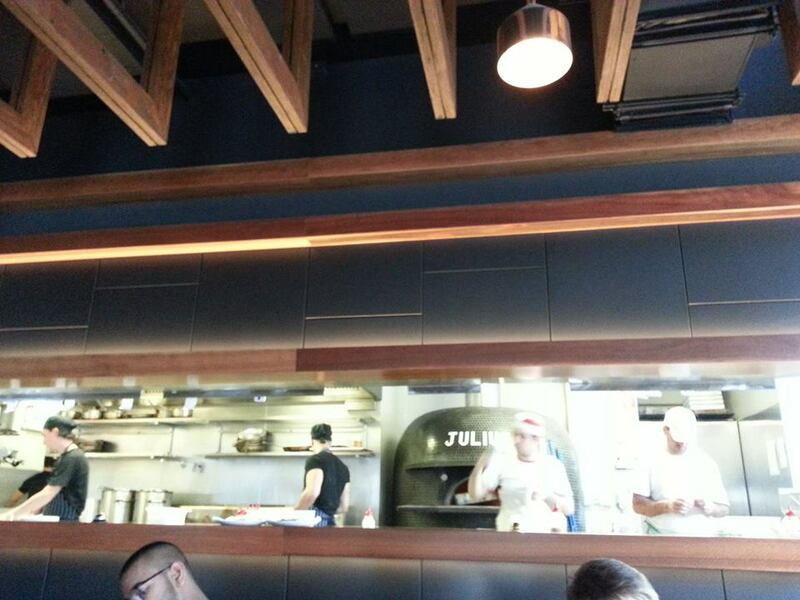 The restaurant was started by the same owner as Beccofino in Teneriffe. 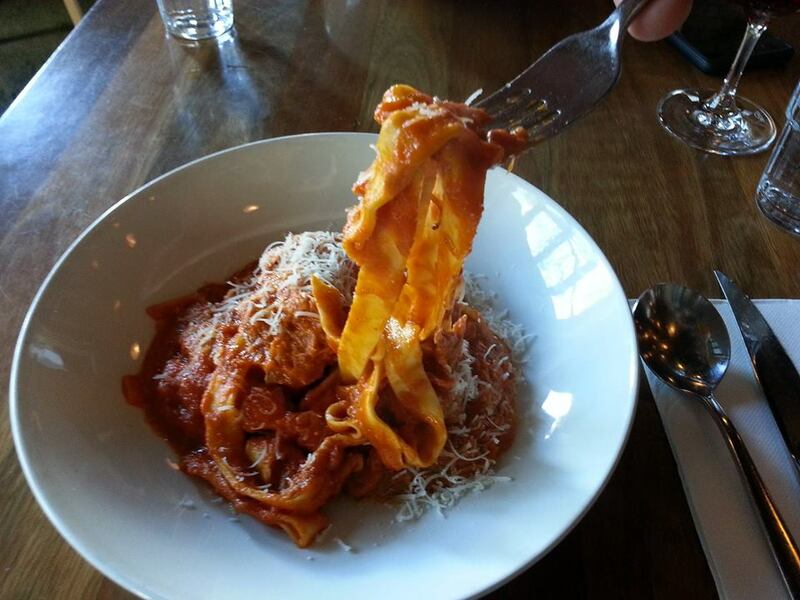 The atmosphere was relaxed and friendly and our wait-staff all had thick Italian accents. It helped set the scene for a delicious meal. 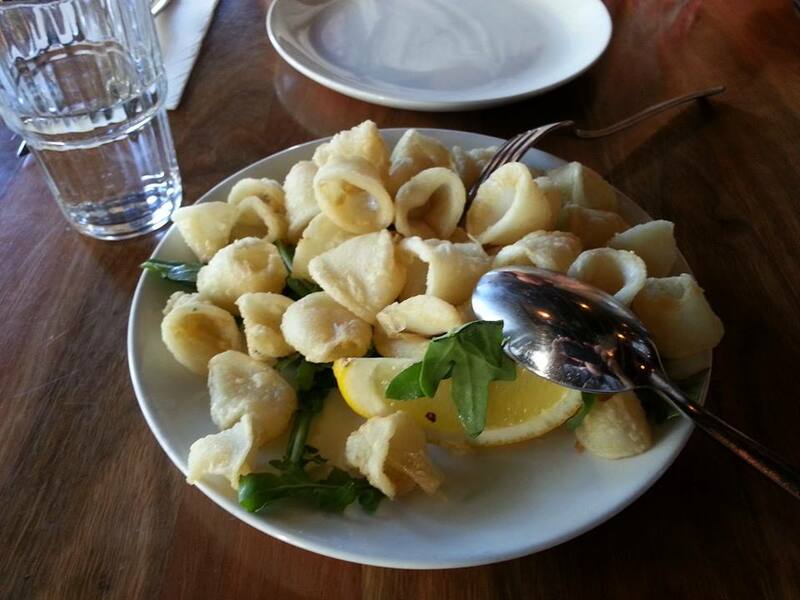 To start with, we ordered the Calamari Fritti con Rucola (fried baby calamari with rocket and lemon) at $17.50 on the strength of a suggestion from a Sicilian co-worker months ago. This was the smaller serve, but the plate we got was still enough to feed one moderately-hungry person. The calamari was tender, crumbed lightly and not at all oily. We followed this up with mains of Pappardelle al Ragu d’Anatra (flat ribbon pasta with a duck and tomato ragu) at $25, and Arrosto d’Agnello (roasted Victorian lamb rump with chickpeas, broad beans, mint and a red onion salsa) at $30.50. I was reluctant to order the pasta initially, because as my Sicilian co-worker pointed out, who orders pasta when you just make it at home. I’m not a terribly good cook however, and the tomato ragu was a nice change from the paltry stuff I dish up at home. The duck was soft and gamey and there was plenty of ragu to spare after the pasta was finished. 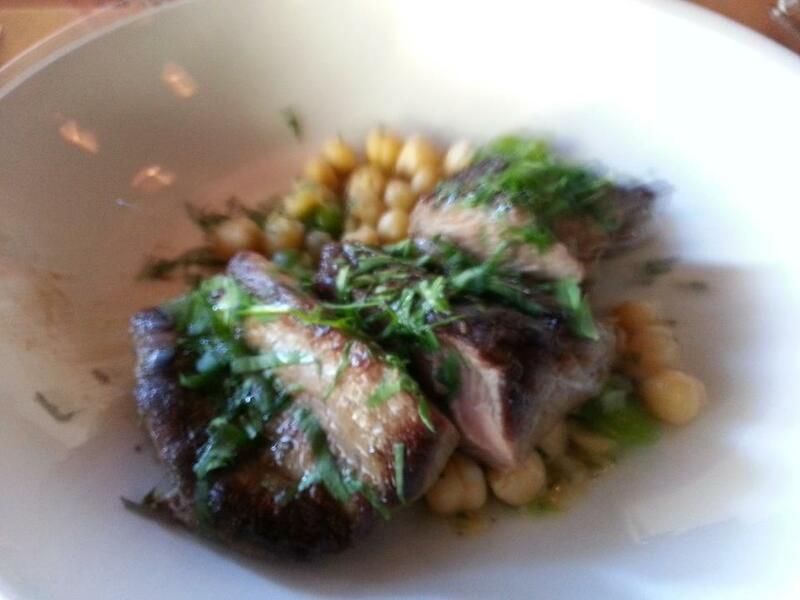 The roasted lamb was cooked to perfection, and a considerable portion too. With the chickpea, beans and salsa serving as a bed and catching the delicious juices, this is a meal I’d definitely recommend. We shared a glass of Yal Yal Pinot Noir from Victoria’s Mornington Peninsula at $11. It was a lighter colour than any pinot noir I’m use to, but the scent and the taste was such that I’m definitely going to seek out a bottle for home. Word of caution, and not sure if this is because my belly might have been still relatively empty at the time, but the wine went to my head quickly (in a pleasant way). The starter of calamari and the two mains filled us both up, and we’d entered Julius pretty hungry, but a perusal of the dessert selection was too tempting to resist. 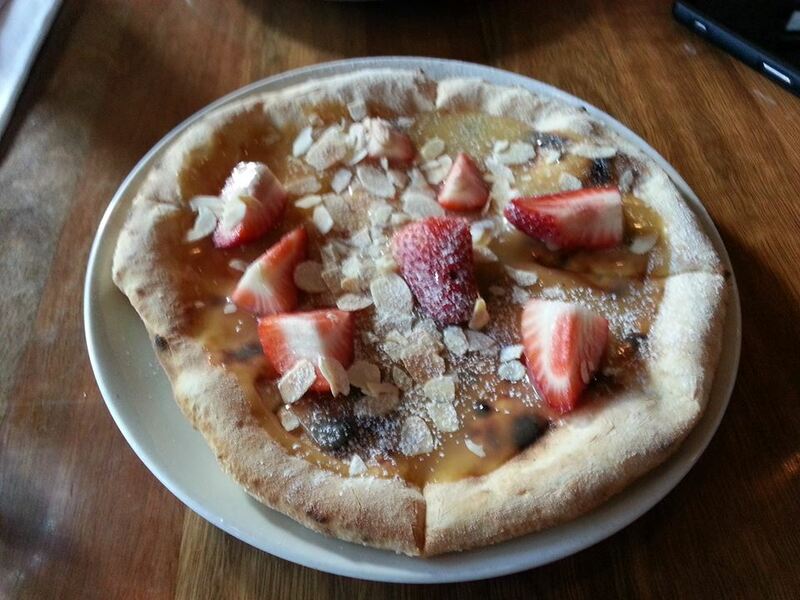 We settled on sharing Fragole e Mandorle (sweet pizza with white chocolate, strawberries and toasted almonds) at $13.50. It’s a savoury pizza base drizzled with a hot caramelised white chocolate sauce with toasted almonds and cold sliced strawberry chunks on top. The pizza dough base and the sweet toppings complimented one another perfectly and didn’t allow the sugary side of the dessert to overpower the dish. Our impromptu lunch certainly cost us a bit in the end, but we needed the splurge and it was certainly a great atmosphere and menu to do that with. Can highly recommend! 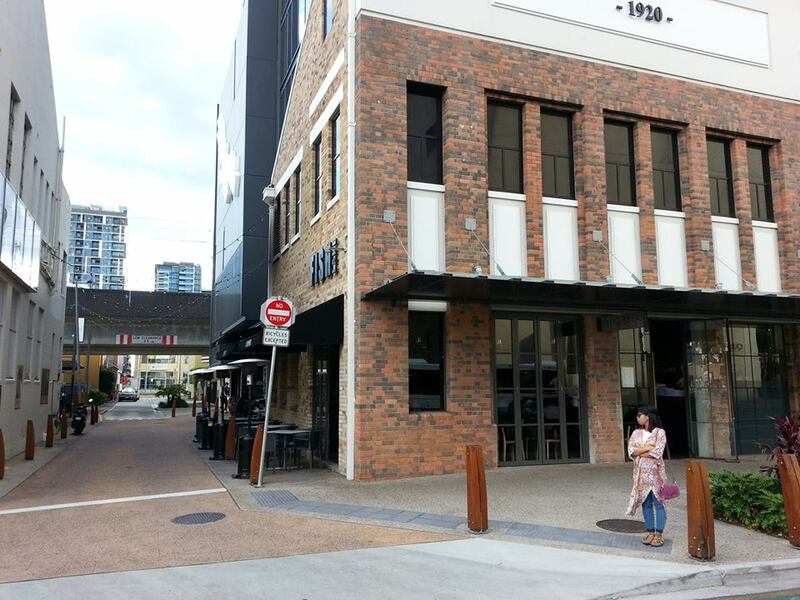 You can find their website and view their menu here or walk in off the street to 77 Grey Street, Corner of Fish Lane, Brisbane (Queensland, Australia). Alternatively, give them a call on (07) 3844 2655.